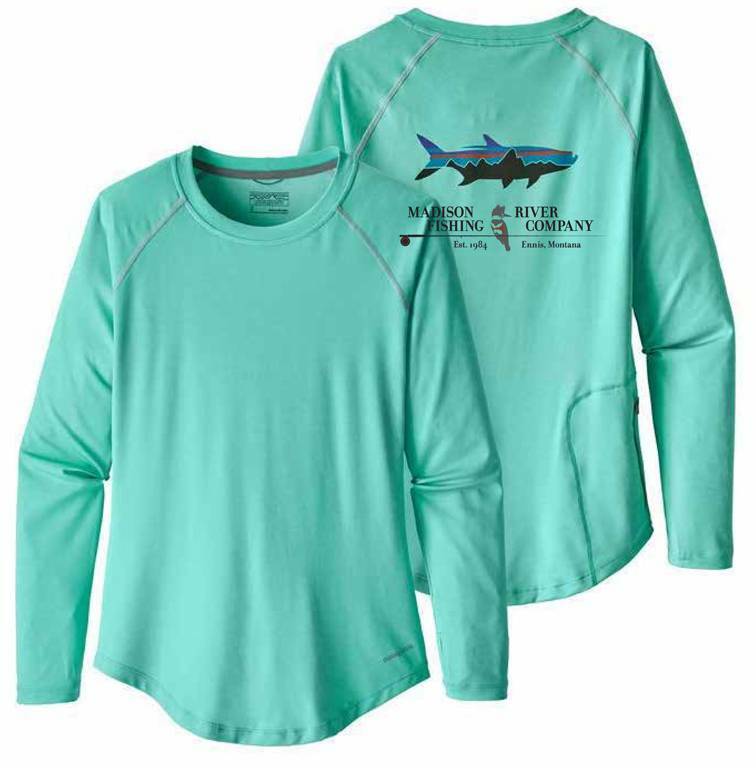 Patagonia MRFC Logo Women Tropic Comfort Crew, Patagonia's Tropic Comfort Crew follows a simple philosophy: Start with nothing, and then add almost nothing, except what’s absolutely necessary. The lightweight, supercomfortable 94% polyester/6% spandex jersey fabric that wicks moisture, provides reliable 50+ UPF sun protection is treated with Polygiene® permanent odor control for long weeks in hot and humid weather. 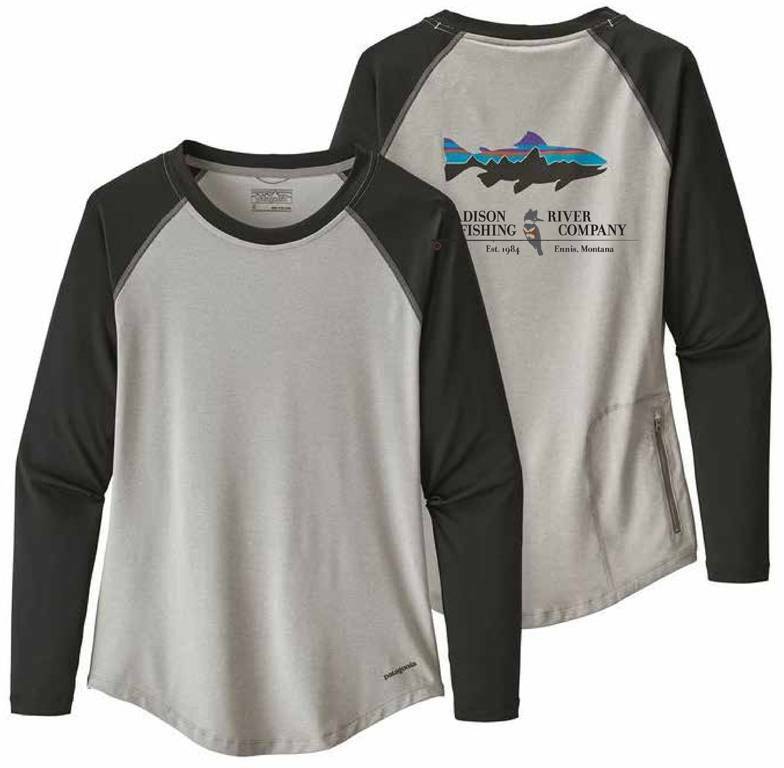 Raglan sleeves lie comfortably on the shoulders under pack straps, and a casual fit through the body provides for ease of movement and cooling airflow. A zippered security pocket (at the back right hip) stashes a small fly box, and thumb holes on the cuffs keep the sleeves over the backs of the hands for added sun protection. Fair Trade Certified™ sewing. Complete with the MRFC logo on the back.